The best-selling saga of crime and international intrigue that lifted the gangster novel to astonishing new heights. Dragged from the dank, rat-infested prison cell where he has spent the past few months, Buonaparte Sartene is given a choice: join the French Resistance or rot in jail for the next seven years. The adopted son of a Corsican Mafia family, Sartene is a thief with a capacity for violence and a knack for subterfuge - valuable tools in the fight against the Nazis. But it is his other great gift - the ability to strike a deal - that changes Sartene's fortunes for good and propels this blistering, expansive thriller from the frozen forests of occupied France to the steamy jungles of Southeast Asia. In exchange for risking his life against the Germans, Sartene demands not just a pardon but also the right to settle his family in the French colony of his choice when the war is over. Laos in the late 1940s is a land of delirious opportunity, offering a clean slate even to a man with a past as shadowy as the Corsican's. It is not long, however, before another government requires his special skills. In league with the OSS, Sartene and his son, Jean, and lieutenants Auguste and Benito take control of the Laotian opium trade and force the Communists out. But the price of power is dear, and when a betrayal from within his own organization threatens the one thing that Sartene values more than money and power - his family - he retreats from the drug business. A decade later it is up to his grandson ,Pierre, a US intelligence agent stationed in Saigon in the early days of the Vietnam War, to track down the man who murdered his father and double-crossed his grandfather - and to enact a terrible and righteous revenge. 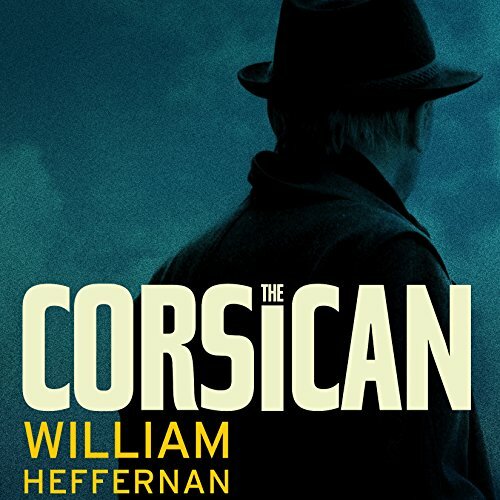 With its sweeping scope and nonstop action, The Corsican is a thriller as global as crime and as relentless as a vendetta. ©1983 William Heffernan (P)2014 Audible, Inc.